Republicans are stepping up their efforts to remove Consumer Financial Protection Bureau chief Richard Cordray from office. Under current law, President Trump does not have the power to remove Cordray from office except for cause, although that provision itself is being challenged in courts. On Friday, a subcommittee of the House Financial Services Committee issued the results of an investigation which recommended that Cordray be found in contempt of Congress, charging that he and the agency had failed to comply with a committee investigation into its rulemaking process. Given that Republicans control the House, it appears likely that the effort to find him in contempt will pass now that there's a formal recommendation to do so. And such a finding may give Trump grounds to remove Cordray. In a statement, CFPB spokeswoman Jen Howard said the consumer agency has been " working diligently to comply with the Committee's oversight on a number of fronts." She said the agency has "produced thousands of pages of documents thus far, and by next week ... We will continue our efforts to understand how we can respond to the Committee in a satisfactory manner." The head of the committee, Rep. Jeb Hensarling, was already on record at a hearing in April urging President Trump to remove Cordray. "I believe the president is clearly justified in dismissing you and I call upon the president...to do just that, and to do it immediately," said Hensarling said to Cordray at a hearing in April. 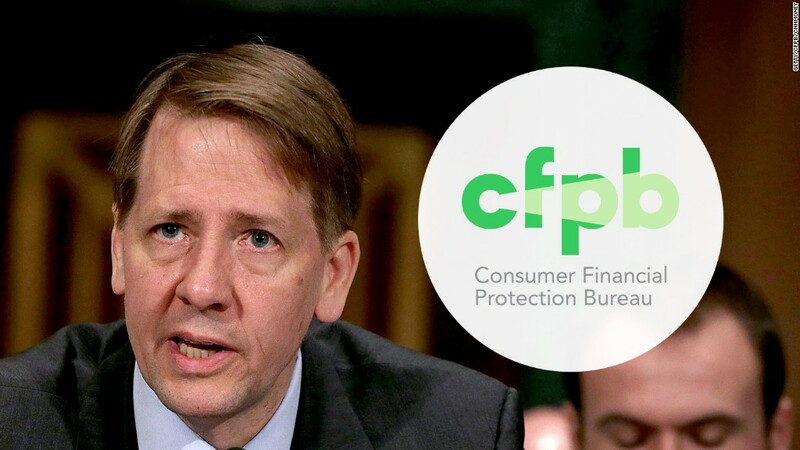 Cordray was attorney general of Ohio before he was tapped to become the first head the CFPB by President Obama in 2012. It is widely believed he is preparing to run for governor of Ohio next year. Current Ohio Governor John Kasich, a Republican, is barred by term limits from running for reelection. Cordray's term at CFPB runs for another year, but if he wants to make a run for governor, he would have to resign before then to launch his campaign. The Dodd-Frank legislation that created the CFPB and imposed a number of new regulations on the financial sector has long been under attack by Republicans and the banking industry. The Trump administration's proposal to reform Dodd-Frank specifically calls for the president to have the power to remove the head of the agency at will. "The CFPB was created to pursue an important mission, but its unaccountable structure and unduly broad regulatory powers have led to predictable regulatory abuses and excesses," said Treasury's reform proposal.